The 2016 D3R Grand Challenge 2 includes both pose and affinity or ranking predictions. This article is focused exclusively on affinity predictions submitted to the D3R challenge from a collaborative effort of the modeling and informatics group. 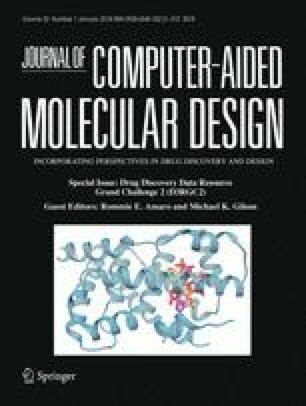 Our submissions include ranking of 102 ligands covering 4 different chemotypes against the FXR ligand binding domain structure, and the relative binding affinity predictions of the two designated free energy subsets of 15 and 18 compounds. Using all the complex structures prepared in the same way allowed us to cover many types of workflows and compare their performances effectively. We evaluated typical workflows used in our daily structure-based design modeling support, which include docking scores, force field-based scores, QM/MM, MMGBSA, MD-MMGBSA, and MacroModel interaction energy estimations. The best performing methods for the two free energy subsets are discussed. Our results suggest that affinity ranking still remains very challenging; that the knowledge of more structural information does not necessarily yield more accurate predictions; and that visual inspection and human intervention are considerably important for ranking. Knowledge of the mode of action and protein flexibility along with visualization tools that depict polar and hydrophobic maps are very useful for visual inspection. QM/MM-based workflows were found to be powerful in affinity ranking and are encouraged to be applied more often. The standardized input and output enable systematic analysis and support methodology development and improvement for high level blinded predictions. Ying-Duo Gao, Yuan Hu, and Alejandro Crespo have contributed equally to this work. The online version of this article (doi: 10.1007/s10822-017-0072-z) contains supplementary material, which is available to authorized users. The authors would like to thank the following people for efforts, expertise and helpful discussions: Symon Gathiaka and Robert P. Sheridan. We are grateful to Merck & Co., Inc., Kenilworth, NJ USA Postdoctoral Research Fellows Program for financial support to Y. H. and the technical support from the High Performance Computing (HPC) group at Merck & Co., Inc., Kenilworth, NJ USA. OMEGA 2.5.1.4: OpenEye Scientific Software, Santa Fe, NM, http://www.eyesopen.com. Hawkins, P.C.D. ; Skillman, A.G.; Warren, G.L. ; Ellingson, B.A. ; Stahl, M.T.